Sisley Paris is one of the world's leading skin care and make up brands, boasting luxurious and fragrant products that anyone would love. With Big Apple Buddy, you can buy premium Sisley-Paris products straight from the online website anytime, anywhere. 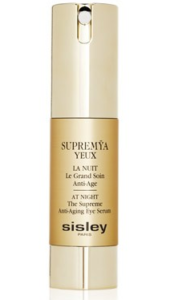 The Supremya Eyes at Night captures the power of retinol creams in a luxurious and moisturizing formula which glides onto the skin, rejuvenating your eyes while you sleep. It reduces the visibility of both dark circles and puffiness, leaving you with a light and youthful glow. 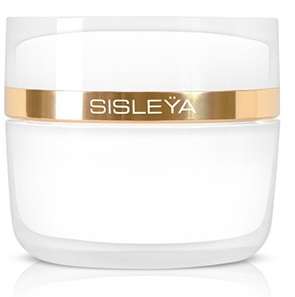 Sisleya L'Iantegral Anti-age attacks aged skins at a cellular level, stimulating and regenerating cells to create firmer, radiant and healthy skin. The active ingredients in this cream are luxurious, non-caustic and ideal for every skin type. Just because you have to grow, doesn't mean your skin has to. 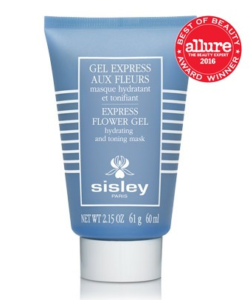 As an Allure Best of Beauty Award winner, the Express Flower Gel Mask is a toning, softening and regenerating mask to uplift your skin on your worst days. The delicious smelling mask has key natural ingredients that you didn't know your skin was thirsty for. If you're not a fan of masks, you can try other iterations of Sisley-Paris' award winning anti-aging formulation with one of its many moisturizers and creams. Or if you're more interested in trying out their pigmented and gorgeous cosmetic items, check out their eyeshadows and foundations, which combine their award winning anti-aging formulation with a satiny airbrushed finish. Unfortunately, the USA Sisley Paris store does not currently offer international shipping. However, Big Apple Buddy, your personal shopper, can help you buy products direct from the official USA Sisley-Paris online store and ship them to your doorstep, no matter where you are in the world. If you would like to buy from the USA Sisley Paris store, simply let us know which items you would like to order (by filling out the form below) and we’ll get back to you with a free international shipping quote within 24 hours!